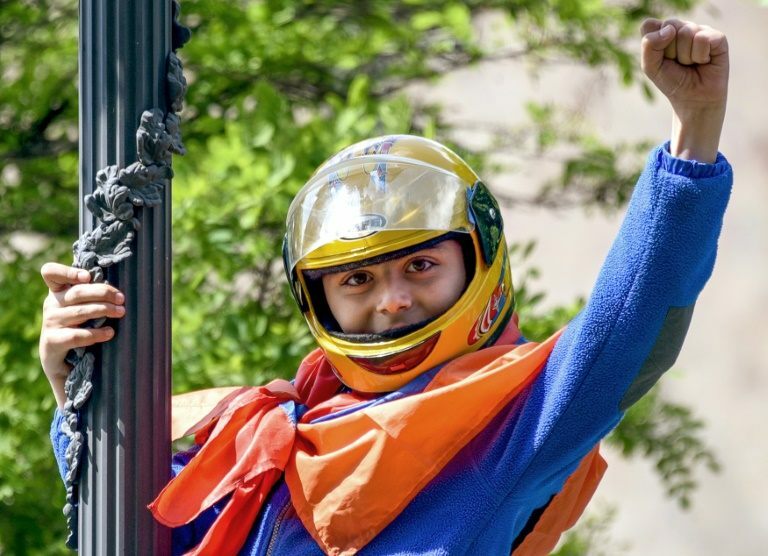 Armenia’s political turmoil deepened on Sunday with the detention of anti-government protest leader Nikol Pashinyan, shortly after Prime Minister Serzh Sarkisian stormed out of talks with him on the tenth day of mass rallies against his rule. Pashinyan and two other opposition politicians “were detained as they were committing socially dangerous acts”, the prosecutor general’s office said in a statement. Armenian police earlier denied opposition MP Sasun Mikaelyan’s report that Pashinyan had been arrested. 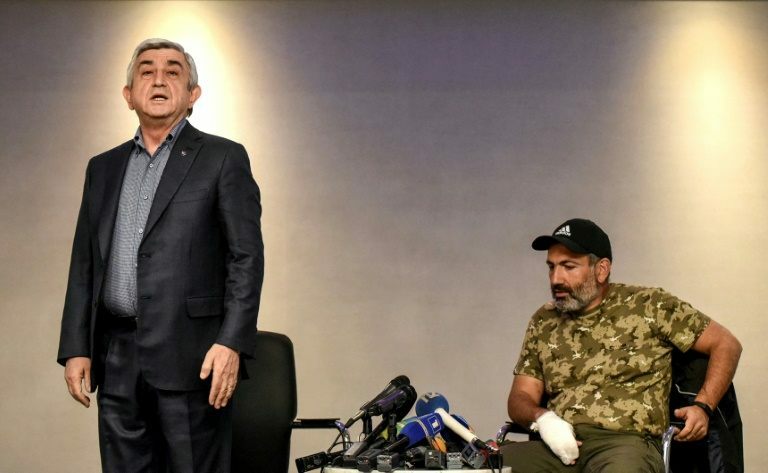 On Sunday morning, Sarkisian stormed out of talks with Pashinyan, accusing him of “blackmail”. “This is not a dialogue, this is blackmail, I only can advise you to return to a legal framework… Otherwise you will bear the responsibility” for the consequences, replied Sarkisian, a former military officer. Sarkisian said the Civil Contract party “can’t speak on behalf of the people”, having scored only 8 percent in recent parliamentary election, before he walked out of the meeting room in Yerevan’s Marriott hotel. 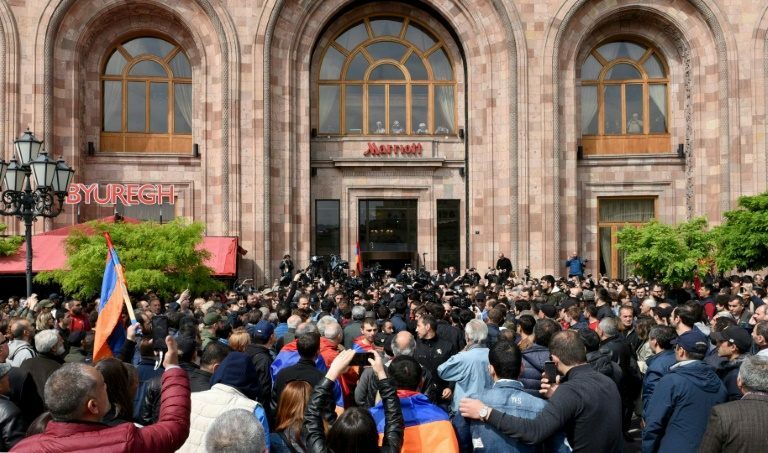 Pashinyan then vowed to “step up pressure” on Sarkisian to force him to resign and called on police officers to “lay down arms and join in the protests”. Opposition supporters have criticised the 63-year-old leader over poverty, corruption and the influence of powerful oligarchs. He called for a nationwide campaign of “civil disobedience,” urging civil servants “to stop obeying Sarkisian”. Under a new parliamentary system of government, lawmakers elected Sarkisian as prime minister last week. After Sarkisian was first elected in 2008, 10 people died and hundreds were injured in post-election clashes between police and supporters of the defeated opposition candidate. Posted by Above Whispers on April 22, 2018.